You can checkout PNDS news/updates/upcoming events organized by PNDS. Details of past activities/events can be found in another section of website.Click on main menu bar “Professional”—-PNDS activities. Visit and like us on Facebook page & follow us on Twitter @pndsorg. The Pakistan Nutrition and Dietetic Society (PNDS) has launched its Lahore Chapter on Friday 27th June 2014 at Royal Palm Hotel, Lahore .PNDS members from Lahore, Faisalabad and other nearby areas participated in the program with great enthusiasm. The Executive Committee of Pakistan Nutrition and Dietetic Society (PNDS) proud to launched its 2nd Chapter on Saturday 21st February, 2015 at Ramada Hotel Islamabad. The Executive Committee of Pakistan Nutrition and Dietetic Society (PNDS) proud to launched its 3rd Chapter on Saturday 1st April, 2017. PNDS is the only professional nutrition and dietetic society in Pakistan having more than 900 members. Most of our members work with various private/ Govt. organizations, hospitals, community health centers, public health sector, private clinics, educational institutions, research /development, and corporate sector. PNDS website gives you current information about the work, role and efforts of dietitians and nutritionists in Pakistan. 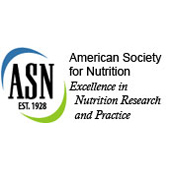 With changing times, dietetic professionals are being progressively recognized and acknowledged by the government sector, the food industry, health professionals and the public for their effective role in leading the way to better nutrition. PNDS recognizes the contribution of colleagues with dietetic and non-dietetic qualifications and welcomes their participation as its members. PNDS represent Pakistan as a member at International Confederation of Dietetic Associations (ICDA) and is a council member of Asian Federation of Dietetic association (AFDA). PNDS Team Members: The Executive Committee (EC) consisted of nine elected members including four office bearers, chapter In-charges and Committee Chairs. All members are working honorary for the Society towards achieving the objectives of PNDS. I am working in subject of Food and Nutrition at University of Agriculture, Faisalabad since 2007. It’s been 10 years to work professionally for subject of nutrition that includes academic as well as research activities. 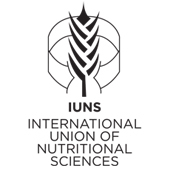 Pakistan Nutrition and Dietetic Society (PNDS) was founded and registered in 2003 as a professional society with an aim to represent, promote and advance the science and profession of nutrition. 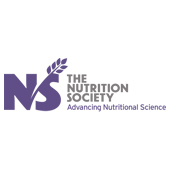 PNDS is a non-profit Society being run by a voluntary group of Nutrition Professionals. The society strives to achieve better nutritional status for the population in Pakistan. To promote the development of the dietetic and nutrition profession, by keeping abreast with the knowledge in the area of dietetics and nutrition and by providing a platform for collective action as a profession. To provide a consultative forum to the Government of Pakistan (GOP) on matters of policy and future planning for nutrition programs and dietary guidelines for the Pakistani population. To set up national and international collaboration for nutrition and dietetic research and educational activities in Pakistan and the region.